Julia Hartz Julia serves as Co-Founder & President of Eventbrite and is responsible for the overall vision and strategy of the company. 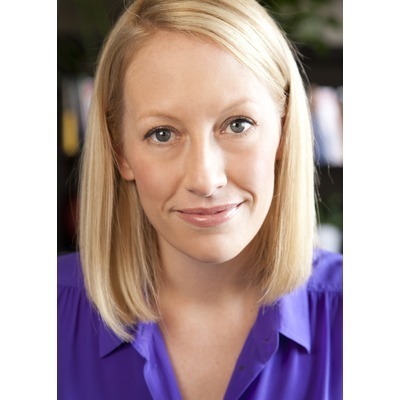 Julia is a reformed Television Network Executive and comes to Eventbrite by way of Hollywood. During her tenure in the television industry, Julia was a creative executive at FX Networks and helped supervise The Shield, Nascar Drivers: 360, Nip/Tuck, Rescue Me and It's Always Sunny in Philadelphia. Prior to FX Networks, Julia worked in creative development at MTV Networks where she was fortunate enough to work on several prolific shows such as Jackass. Julia brings the creativity and energy of the entertainment business to Eventbrite, leading the company with innovative thinking and a keen sense of the consumer audience. Julia holds a BA from Pepperdine University. Julia lives in San Francisco with her husband, Kevin, and young daughter. Julia was mentioned in a VatorNews article "Eventbrite files for IPO, looks to raise $200M in its public offering"
Julia was mentioned in a VatorNews article "Kevin Hartz becomes a partner at Founders Fund "
Julia was mentioned in a VatorNews article "The $1B valuation club became super crowded in 2014"
Julia was mentioned in a VatorNews article "See Jessica Alba, Brian Lee at Vator Splash LA, Oct. 2"
Julia was mentioned in a VatorNews article "Startup lessons from Kevin & Julia Hartz of Eventbrite"
Julia was mentioned in a VatorNews article "The winner of Splash London is... SilkFred!" Julia was mentioned in a VatorNews article "Kevin & Julia Hartz to speak at Splash London, June 19"
Julia was added as a team member at Eventbrite, Inc.
Julia was mentioned in a VatorNews article "Funding roundup - week ending 10/18/13 "
Julia was mentioned in a VatorNews article "Eventbrite hits new milestone: $2B in tickets sold"